Auntie Fung’s, the new pan-Asian food joint had quickly become a local favourite. Now, it needed to scale up by refocusing the brand’s strategies and placing an emphasis on the variety of their menu and the cuisine served, which is a whole lot more than just Thai and Chinese, an unprecedented feat. for a QSR establishment in Bangalore. We created a relatable, people-friendly mascot to give Auntie Fung’s the edge over other QSR establishments in the city. We also focused our communication strategies on Southeast Asian cuisine as a whole with a particular proclivity for ‘power lunches’, ‘breaking midday monotony at work’, and so on. The brand gained significant visibility as a QSR establishment. Thanks to our social media marketing efforts, it made leaps and bounds in the digital space with a heavy increase in ‘likes’ and ‘shares’. 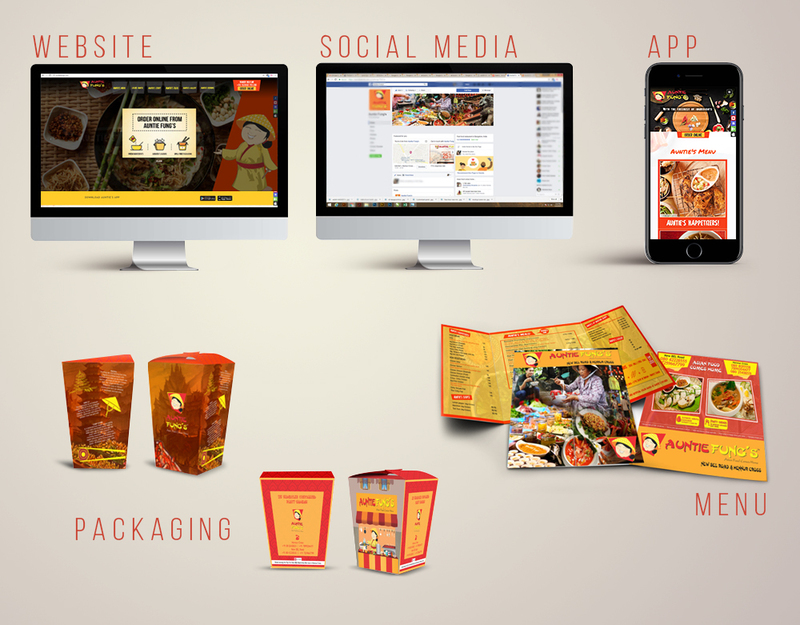 The mascot (Auntie Fung’s) enhanced brand recall in the minds of consumers and added a personal, soulful touch to the food served, which is always a winner in the food industry.